The ITC Council at the July 2018 Council Meeting in Montreal. 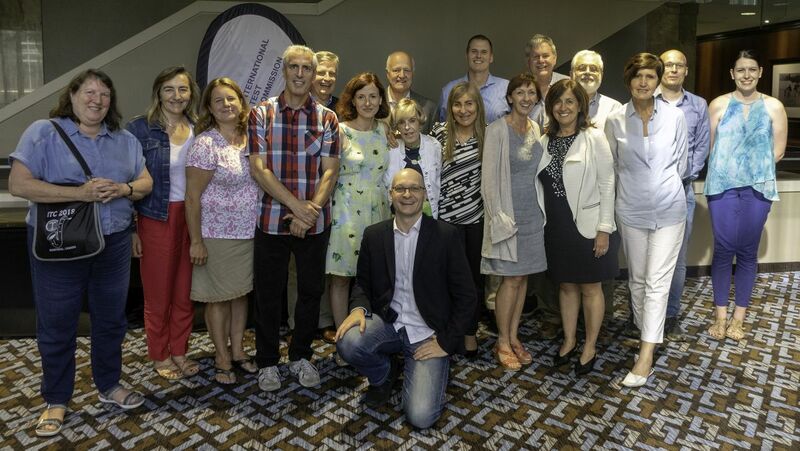 Present in picture (from left to right): Nicola Hayes, Paula Elosua, April Zenisky, Steve Sireci, Jacques Gregoire, Anna Brown, Dragos Iliescu (lower row), Neal Schmitt, Barbara Byrne (not on Council), Solange Wechsler, Stephen Stark, Nathalie Loye, Peter Macqueen, Kadriye Ercikan, Kurt Geisinger, Aletta Odendaal, Samuel Greiff, Lindie van der Westhuizen (not on Council). Not in picture: Wayne Camara, Ann Watts, Gonggy (Greg) Yan. The ITC Council at the July 2017 Council Meeting in Amsterdam. 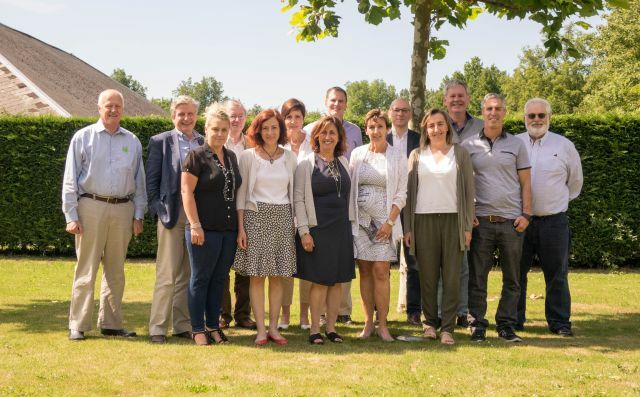 Present in picture (from left to right): Neal Schmitt, Jacques Gregoire, Ananda van Tonder, Dave Bartram, Anna Brown, Aletta Odendaal, Kadriye Ercikan, Stephen Stark, Nathalie Loye, Dragos Iliescu, Paula Elosua, Peter Macqueen, Steve Sireci, Kurt Geisinger. Not in picture: Kazuo Shigemasu, Solange Wechsler, April Zenisky.